This past spring we visited Scandinavia. With two weeks to visit four countries, it was a whirlwind. A polite, well-organized and efficient whirlwind (as is the Scandinavian way), but for us it was a lot to see and do! We started in Sweden where we visited friends from Portland currently living in Uppsala. We all spent the weekend together in Stockholm before we split off to head down to Copenhagen. Denmark’s highlights included Freetown Christiania and Kronborg Castle, the implicit setting of this play you might have heard of, it’s called “Hamlet.” We then sped back up Sweden’s westernmost edge with a quick stop in Göteborg on the way to Norway’s beautiful capital Oslo, where we met back up with our temporarily Swedish pals. We then took an exhilarating train ride to Bergen, where we breathed in some majestic fjords (on the day of the boat tour we saw an avalanche AND a swimming seal! ), and then flew to Iceland, where we visited more friends and spent three days of volcanic glory in a rental car…I really tried to summarize this in less than a paragraph, but it was really a whirlwind (for us…everyone around us was very calm). 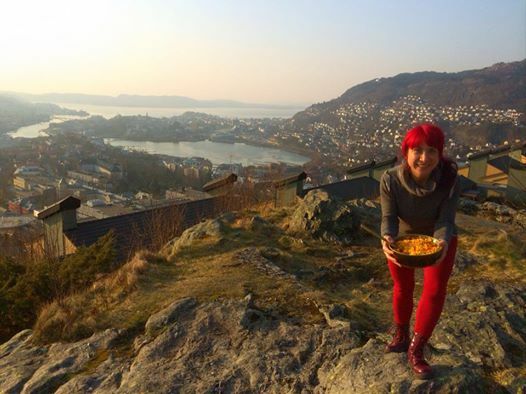 So I have to be real here: if you’re vegan, go to Scandinavia for the awesome and varied terrain–the mountains, the fjords, the stark expansive flats, the geothermal wonders. Go for the fascinating glimpse into ancient Nordic traditions, with gods and vikings and runes and elves and necropants. Go to experience the entirely positive attitude that makes winter FUN! Go to see the inspiring and progressive ways that bikes are integrated into transit culture. There are green roofs and practical permaculture implementations everywhere, go see that. Go to see elegant modern artistic design at its finest. Go because you’re into ABBA and Pippi Longstocking and Ylvis and Björk. Go for hundreds of other reasons! But don’t–really, don’t–go for the food. Yummy buffet in Reykjavík! Tasty choices: yes! Unique and affordable: no! Don’t go for the food! 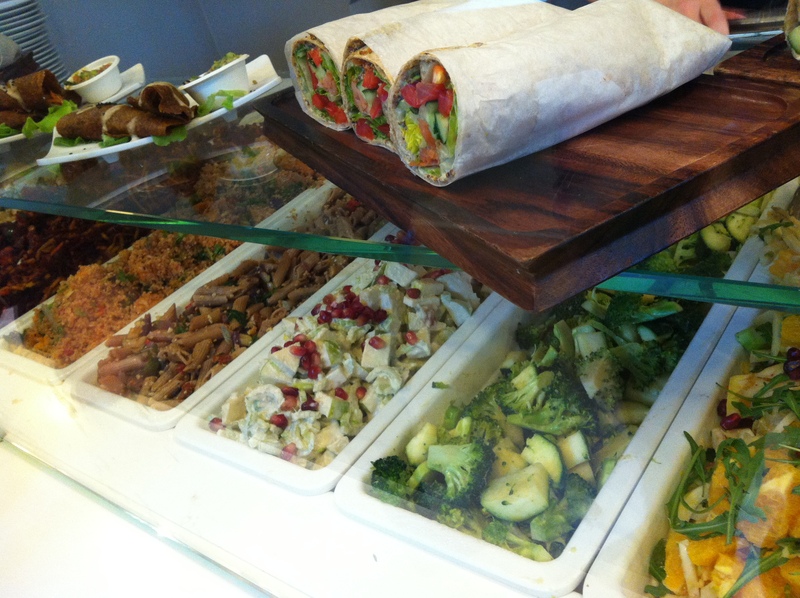 It’s not that there isn’t anything to eat for vegans–there is PLENTY! 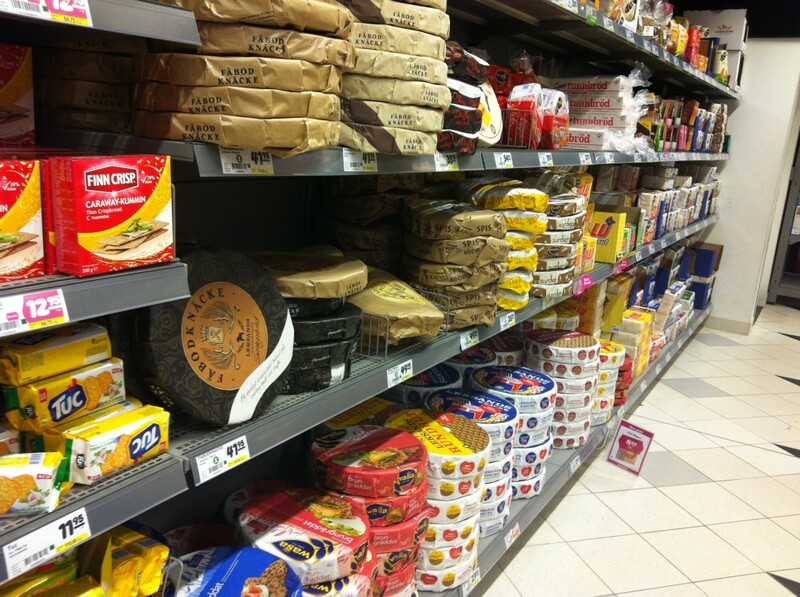 With dedicated vegan and vegetarian restaurants in surprising and happy abundance, and entire “mjölkfritt” (milk-free) aisles in supermarkets, you will find that the vegan concept and lifestyle is booming–largely, I deduce, due to high cultural emphases on good health and environmentalism. However, there is little to nothing that comes from a regionally specific tradition that is not derived from fish, other meats, or dairy. You will find plenty of tofu and quinoa and produce, but it’s nearly all imported and it’s all very similar to equivalent dishes you can find in pretty much any other city in the world–but the Scandinavian twist is that such a meal in a restaurant will typically set you back around $25 US dollars. Per person. Per dish. The cost of living is extremely high in this region, and for us factoring in an exchange rate, it was simply not affordable to eat in restaurants frequently. While I will sometimes splurge off a budget if I’m in a foreign city and I have an opportunity to eat something special that is unique to the region I’m visiting (I’m looking at you, Italy! )–this was just not the case here. I eat tofu and quinoa and basic produce all the time at home, and can eat it everywhere else. To me it was just not worth dropping $25 bucks at every meal. So, sourcing most food from grocery stores and cooking in hostel kitchens, our best compromise was to enjoy as much as possible of the one traditional theme of food that we could reliably find, regularly and cheaply, with genuine local variations as we traveled about the region. I’m talking, of course, about that classic, timeless, carborific, glutenacious standby–BREAD! We ate a lot of bread. I’m not kidding. A LOT of bread. 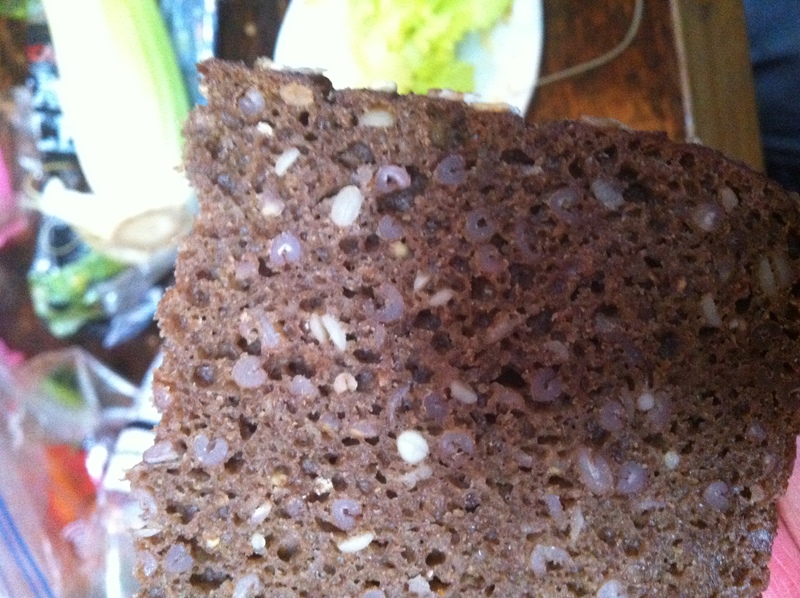 The three main types of bread we experienced were rye bread (rag bröd, and linguistic variations), which is a delicious, dense, usually heavily seeded square loaf cut into very thin slices. This was great because it was super substantial and made for great fuel. Close up of all that seedy goodness. A typical self-catered hostel breakfast, jazzed up with some totally out-of-season produce. 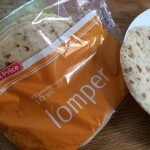 Then you’ve got your flat breads, such as lomper (in Norway) and flatkokor (in Iceland). We mostly only saw these in packaged versions in supermarkets, and they weren’t my favorite, but they were nice to try SOMETHING that has a tradition in the area, and made decent vehicles for things like peanut butter and hummus (hummus, by the way, ran about seven bucks a tub). And finally, the ubiquitous of the ubiquitous: Crispbread. 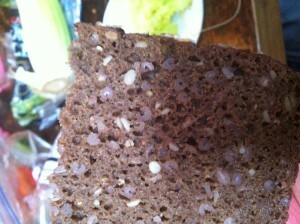 A very basic but hearty cracker made of rye flour and packaged in either flat squares or in novel (to us) large wheels. This stuff just never stopped. It was on every breakfast buffet, every shop window, and constantly in my shoulder bag because it just wouldn’t die. It will hold up to practically any type of stress and seems to never go stale. 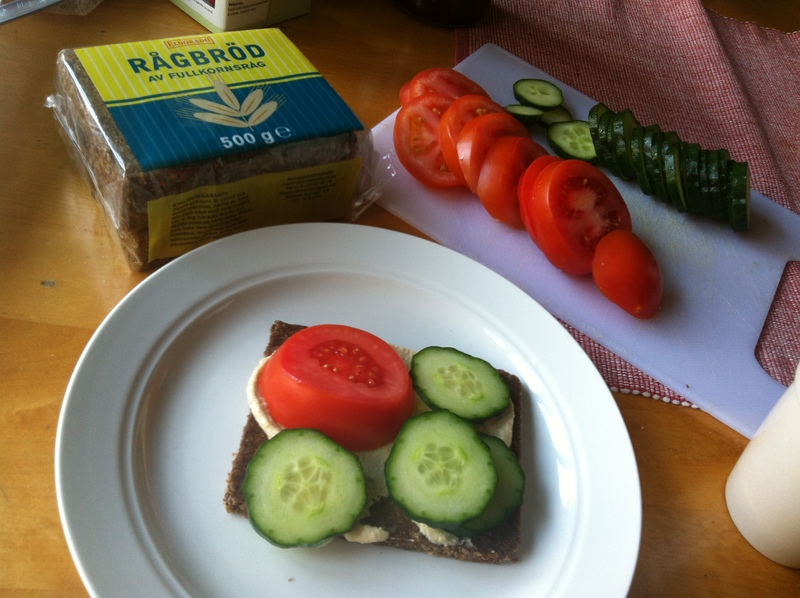 You can spread things on it, dip it in things, or just swallow it with water, it is a staple of Scandinavia that makes great food for a traveling backpacker on a budget. I have read that traditionally households baked their supplies of crispbread just twice a year, making it a hardy and frugal way to stock up on sustenance for the long Nordic winter. 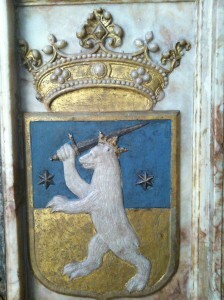 We certainly relied upon it on–particularly its frugality–for this trip. We returned the first week of April. It’s now July and I have yet to feel a need to even look at a cracker since. You’ll never go hungry in Scandinavia! Unless you’re gluten intolerant. In which case my only hope is that you can afford some expensive quinoa. 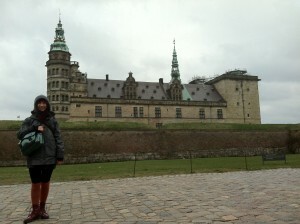 This entry was posted on July 17, 2014 by sadie in travel stories, Uncategorized. Celebrating the release of the Thailand preview!